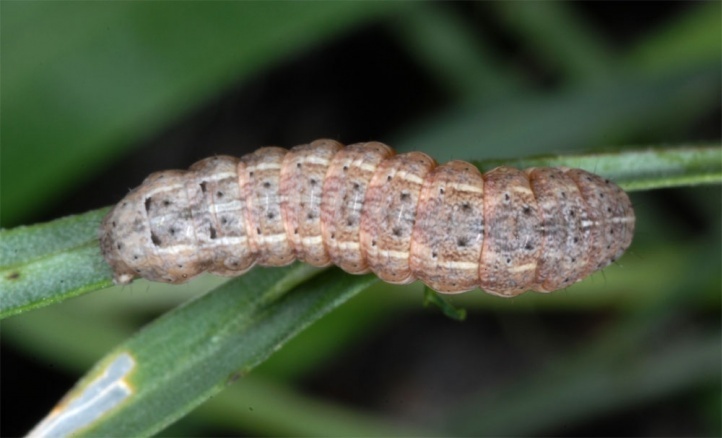 The caterpillar lives polyphagously mostly on herbaceous plants and grasses. 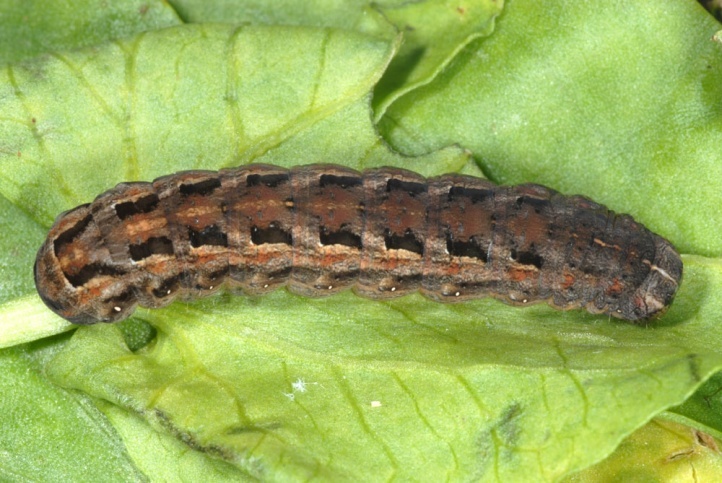 I found larvae on Rumex maderensis and an indeterminated herbaceous plant, resting at daytime on the ground under the plants (December 2010, La Palma, about 800m above sea level). 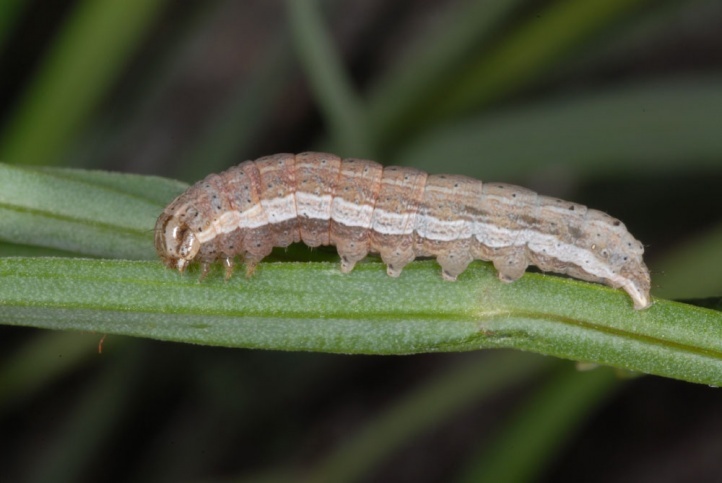 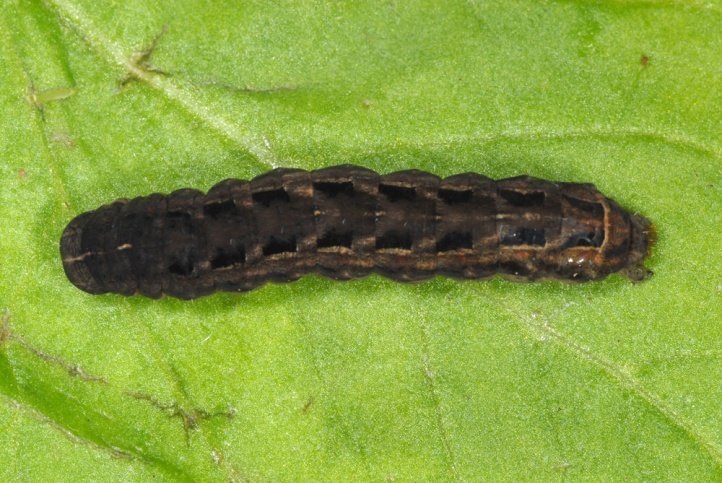 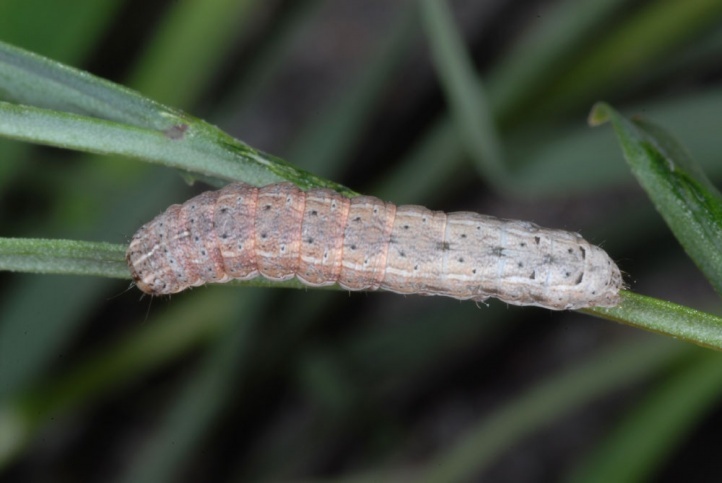 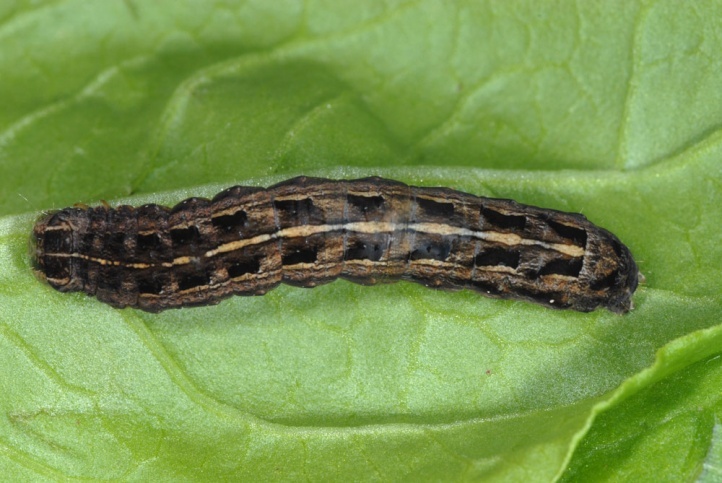 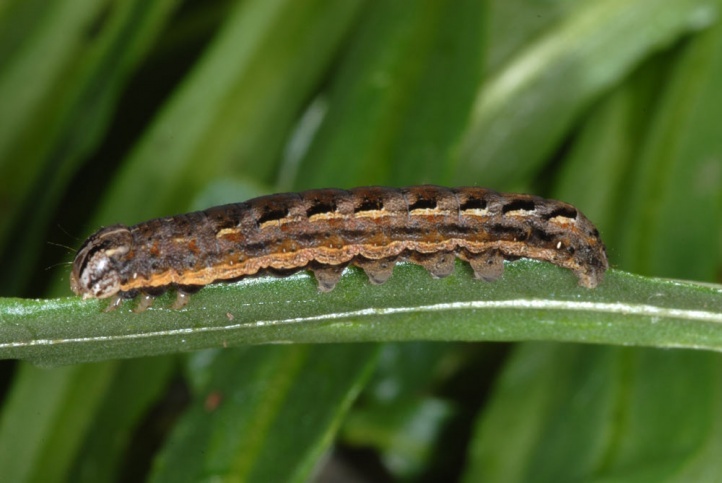 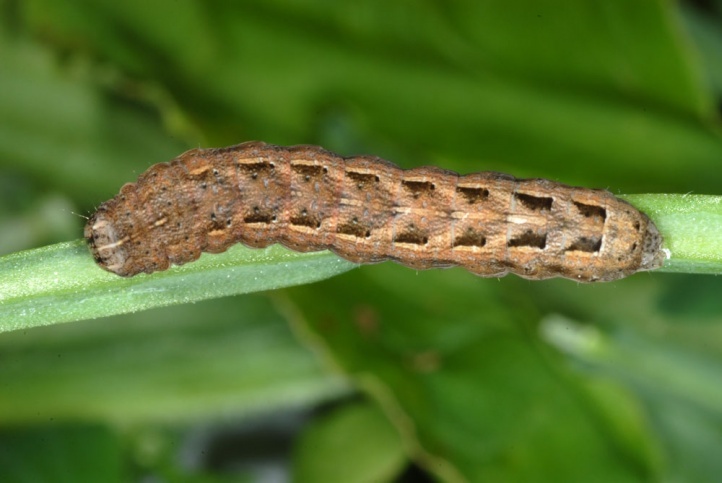 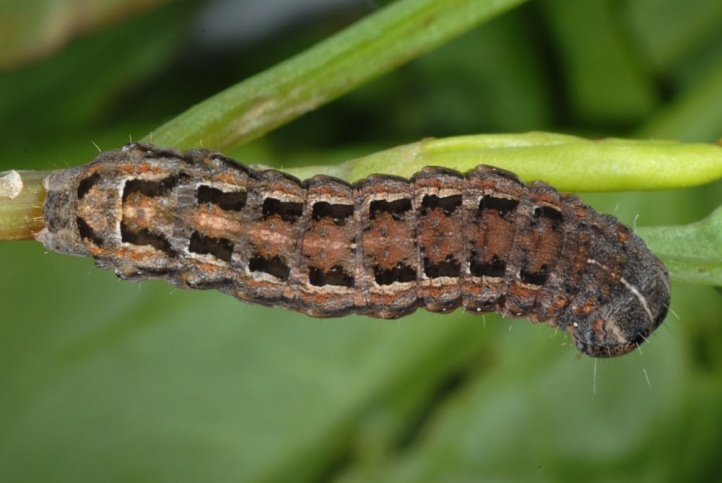 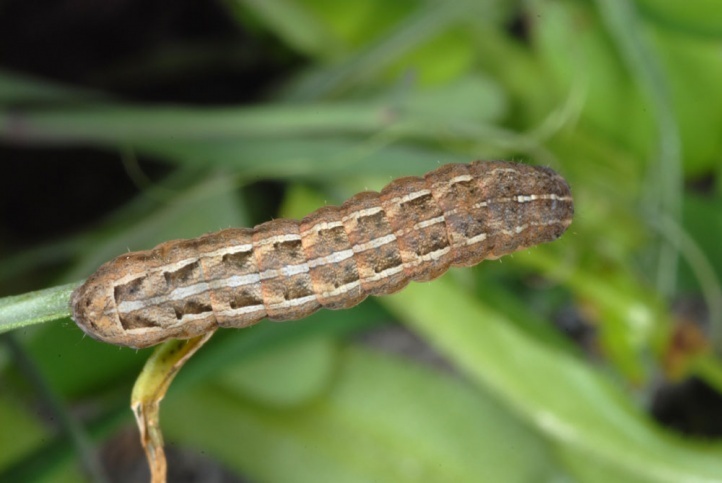 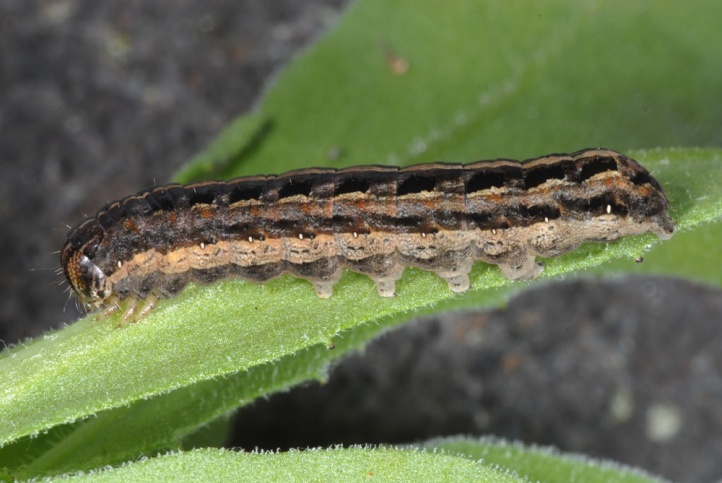 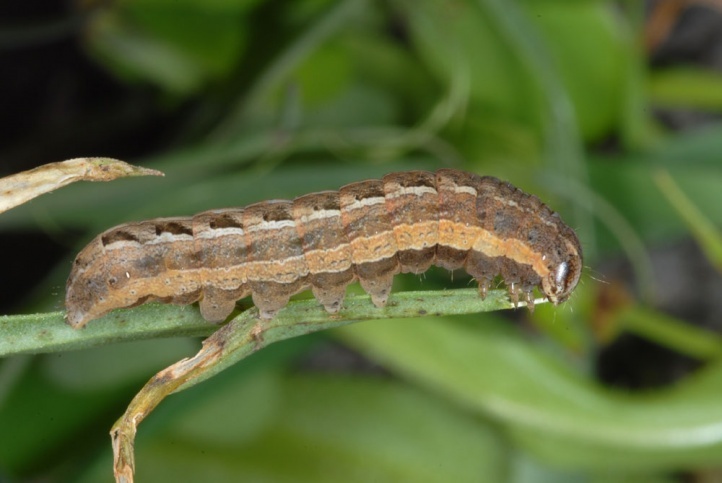 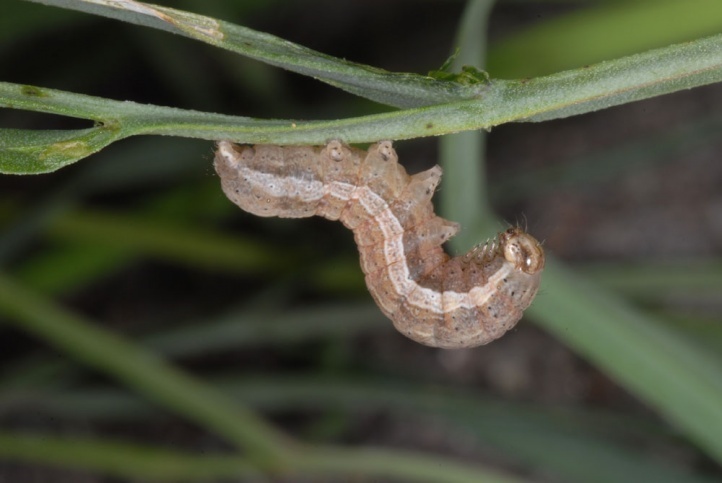 In December 2012, I observed numerous larvae on an undeterminated, sterile Poaceae and on Lathyrus spp. 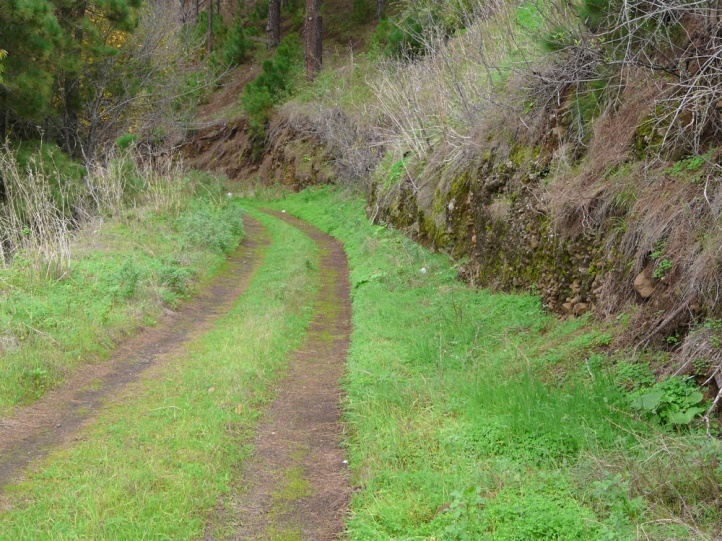 in the same manner (La Palma, 900m above sea level). 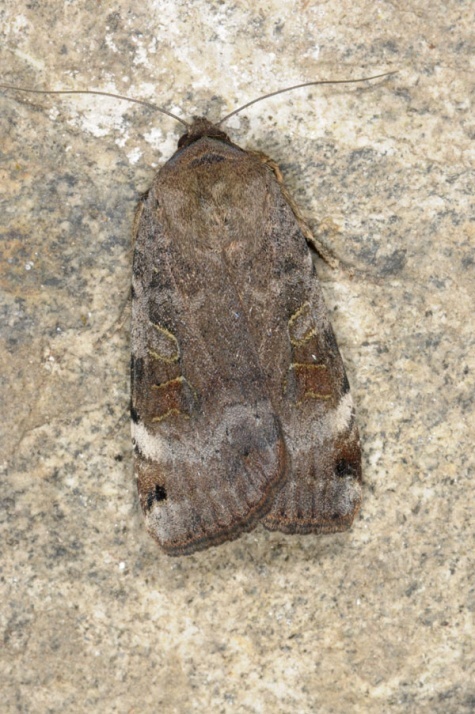 Noctua noacki inhabits a fairly wide range of preferably semi-open habitats in more medium-high elevations between most often 400 and 1300m above sea level. 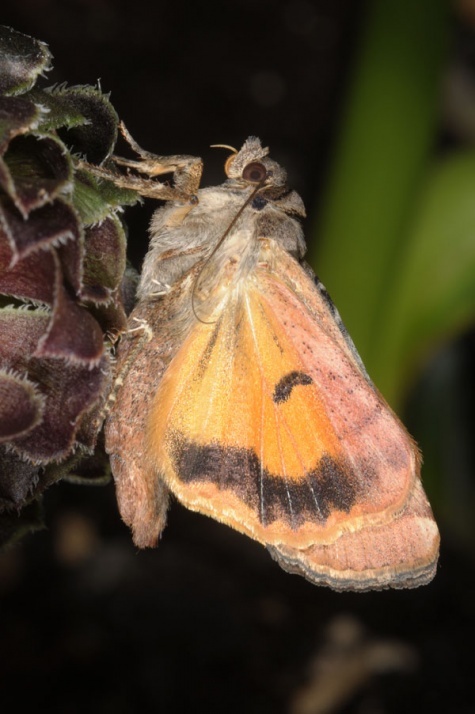 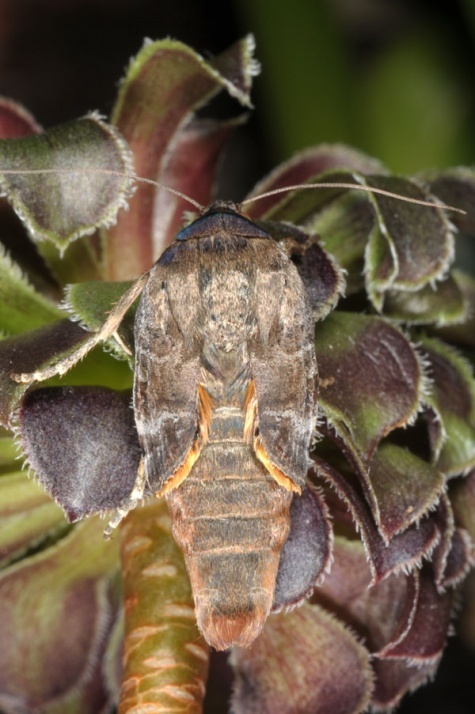 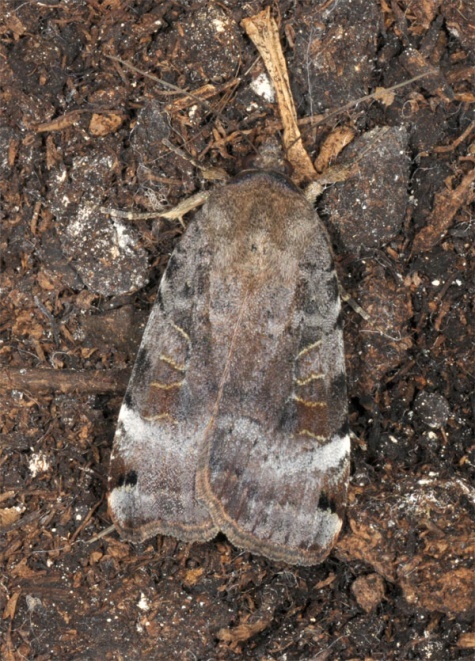 On farmland where Noctua pronuba is quite common on the western Canary Islands, it is usually rare. 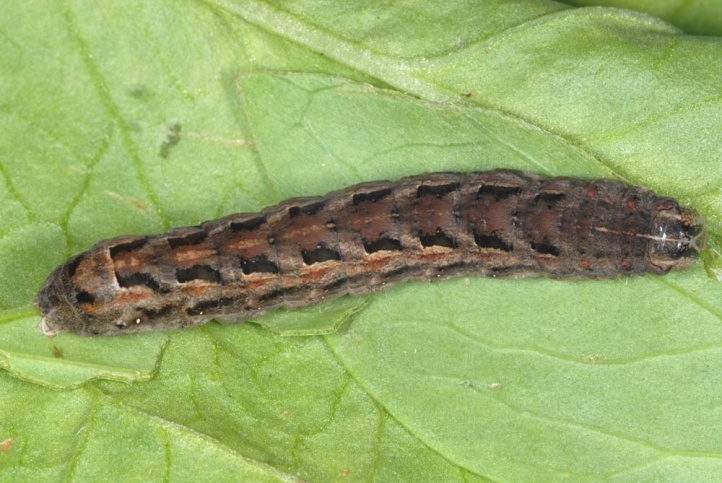 In 2010, I found the half-grown caterpillar in a barranco (ravine) surrounded by pine forest with plenty of maderensis Rumex. 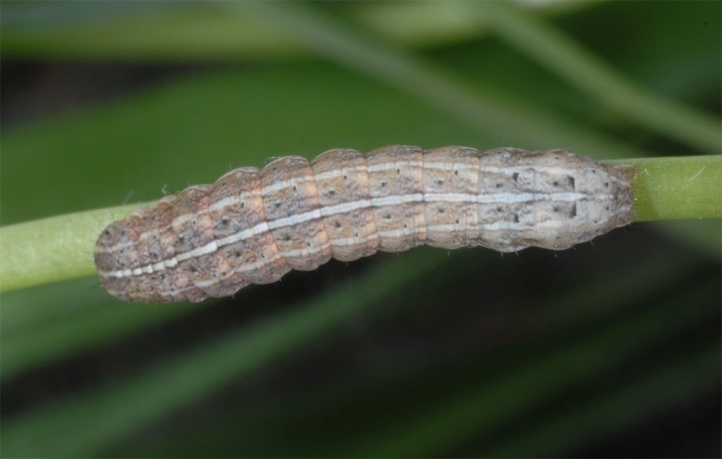 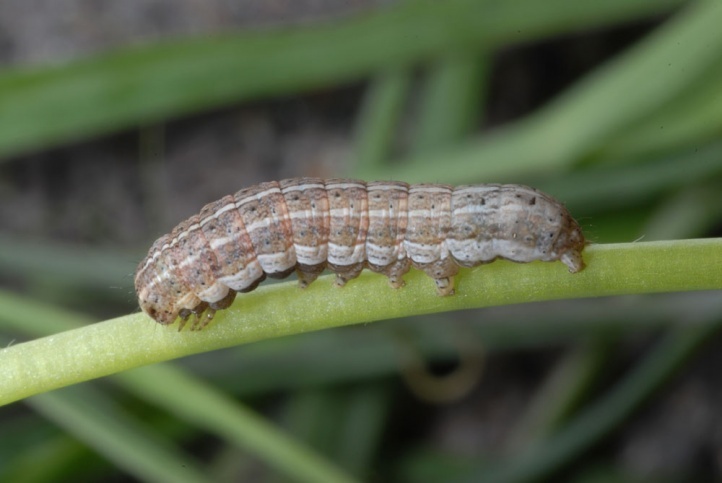 In 2012, I observed many, often parasitized larvae in a grassy, shady roadside verge on the border between extensive agricultural landscape and pine forest. 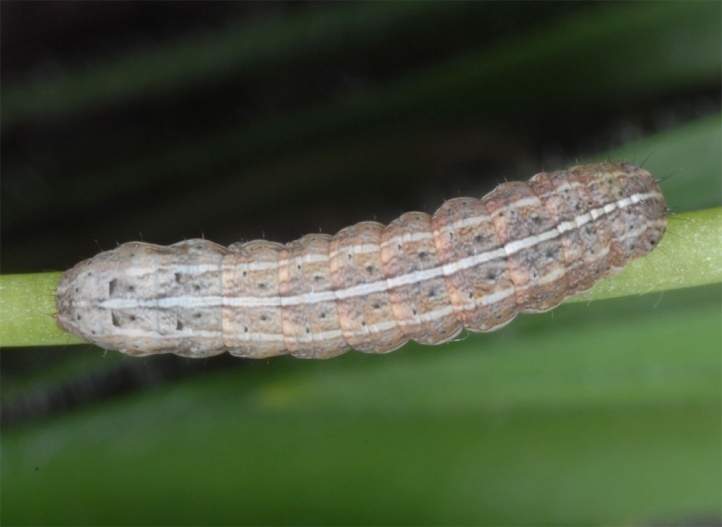 I found larvae of Xestia mejiasi and Leucania fortunata in the same habitat. 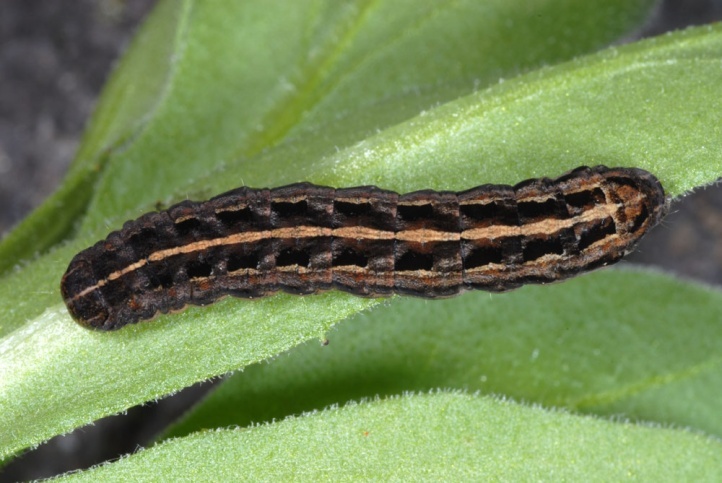 I found the caterpillars in December. 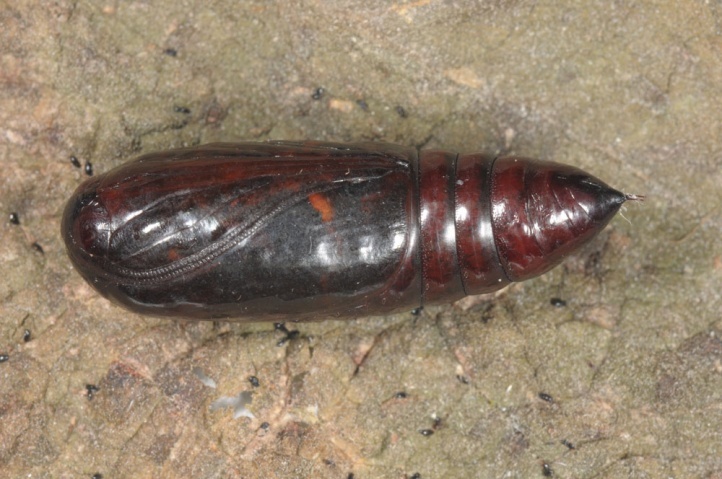 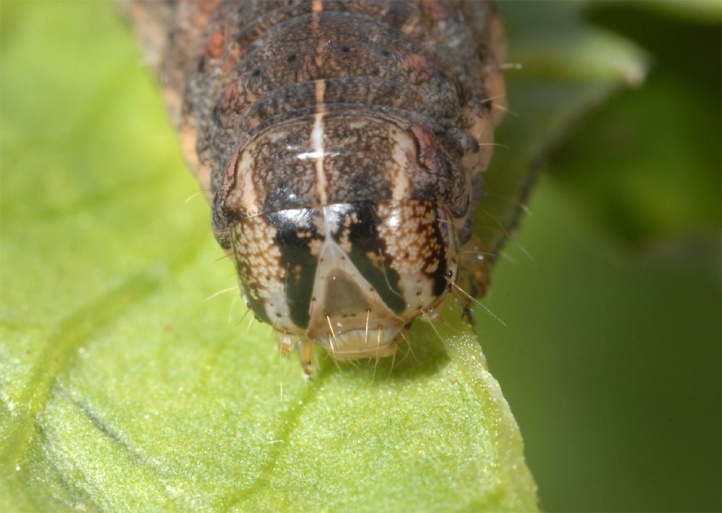 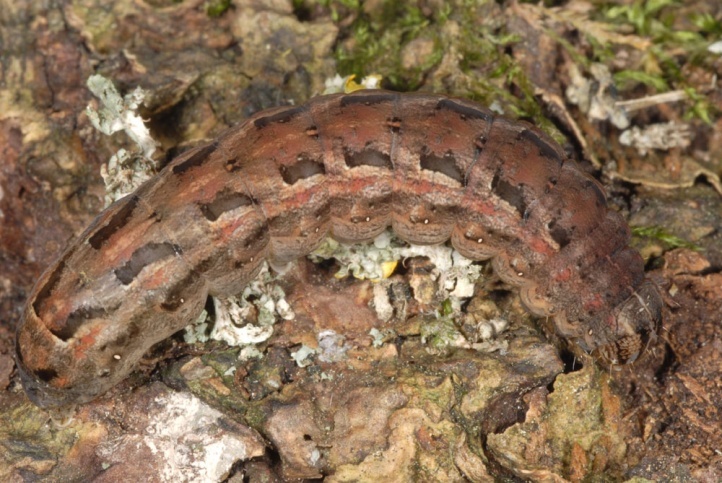 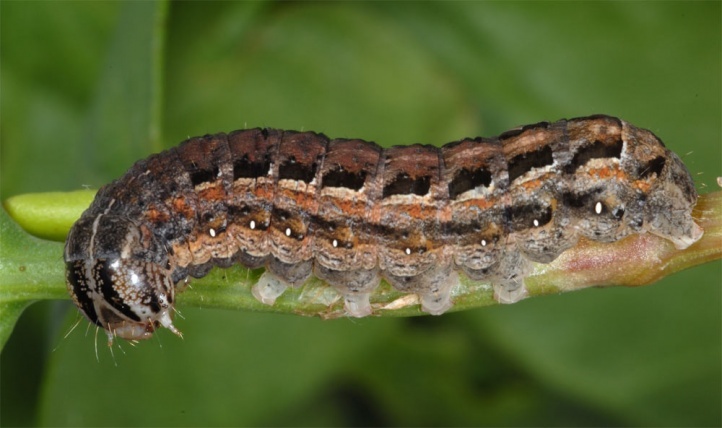 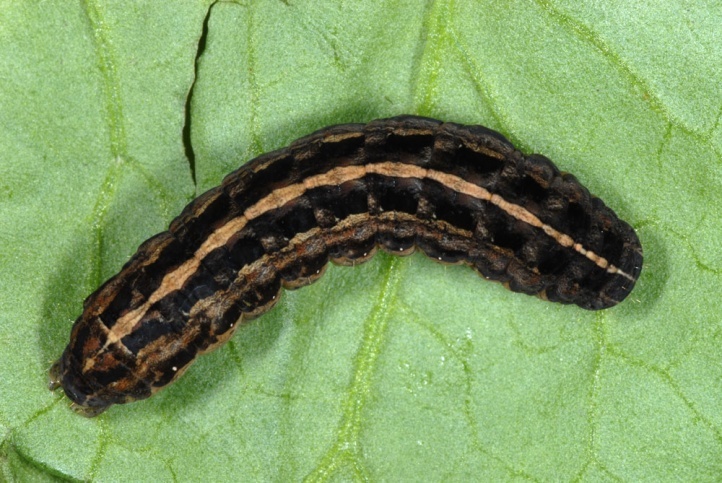 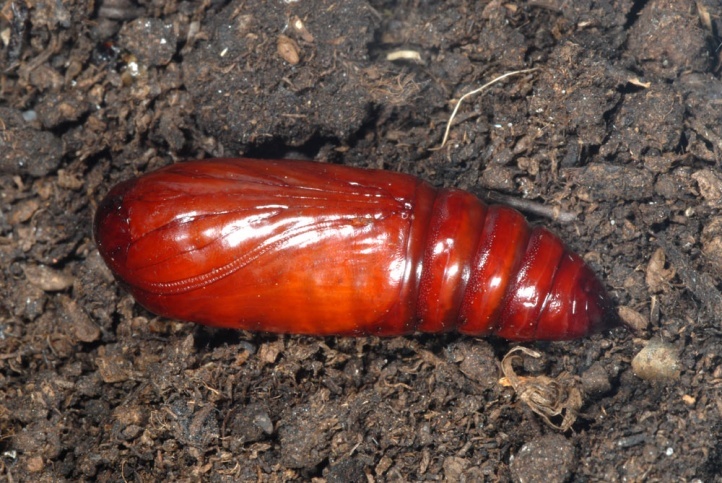 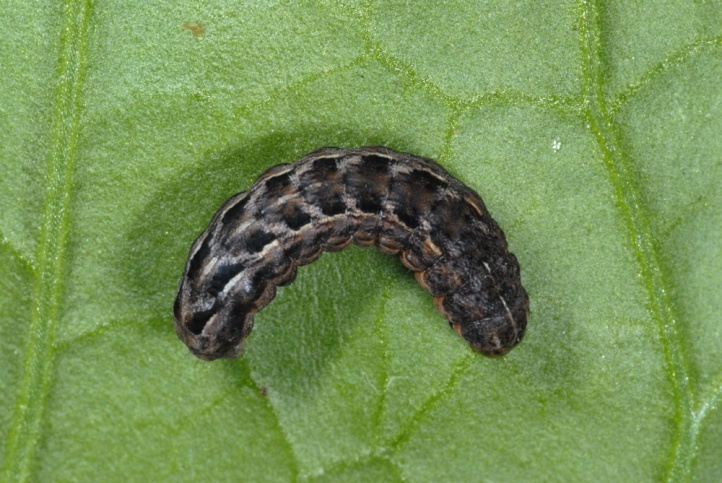 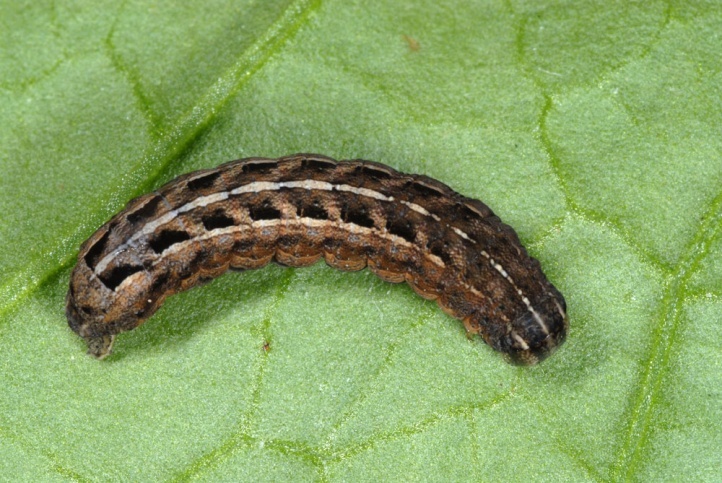 The larvae are likely to be found between October and February. 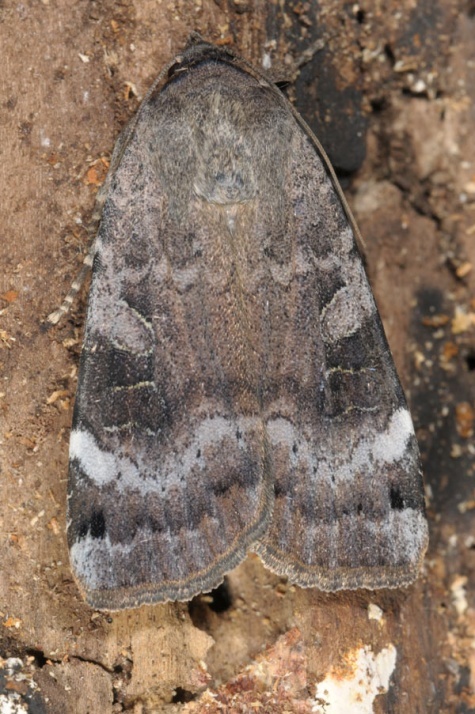 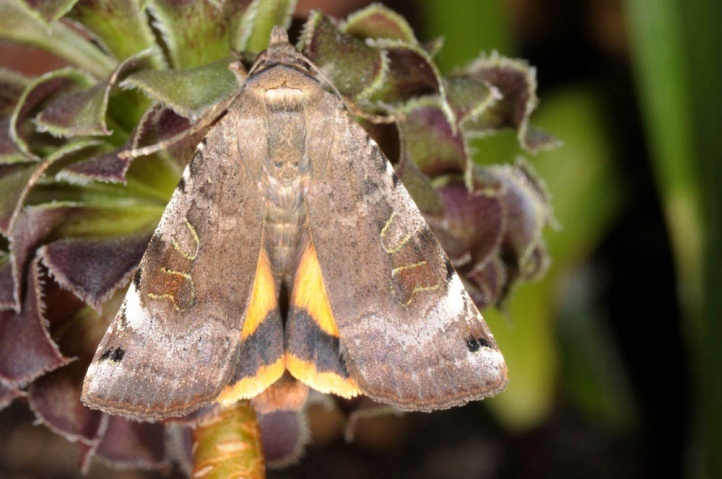 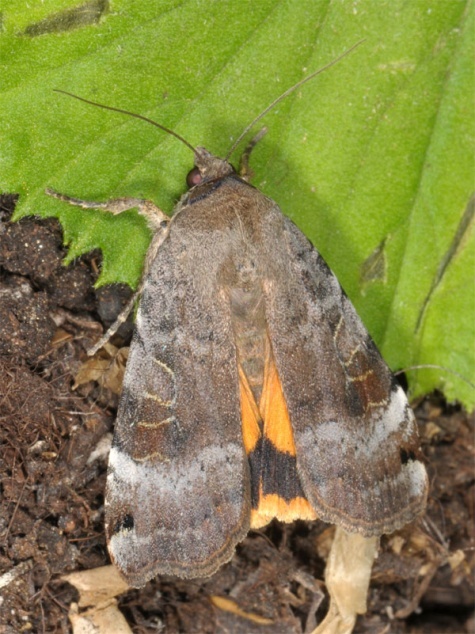 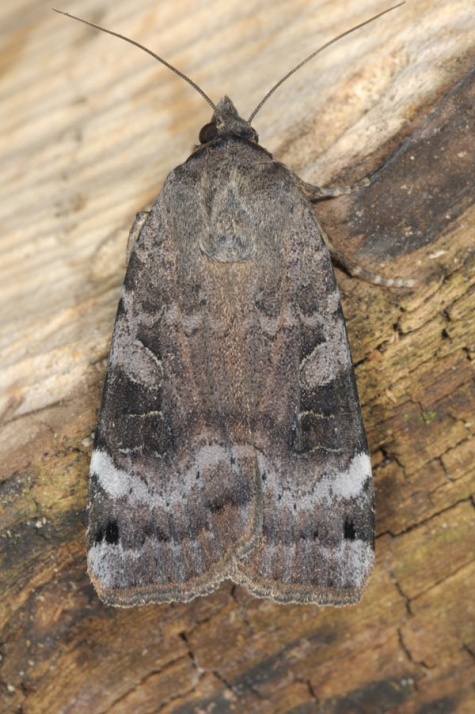 The moths live quite long and fly from March to October. 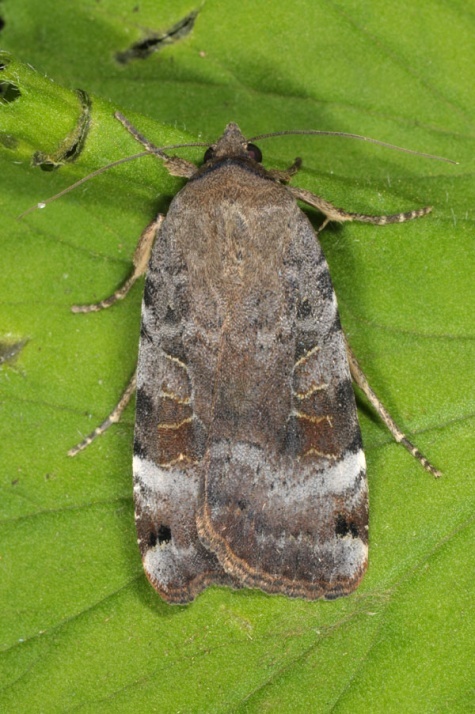 But in summer, they are likely to undergo an aestivation. 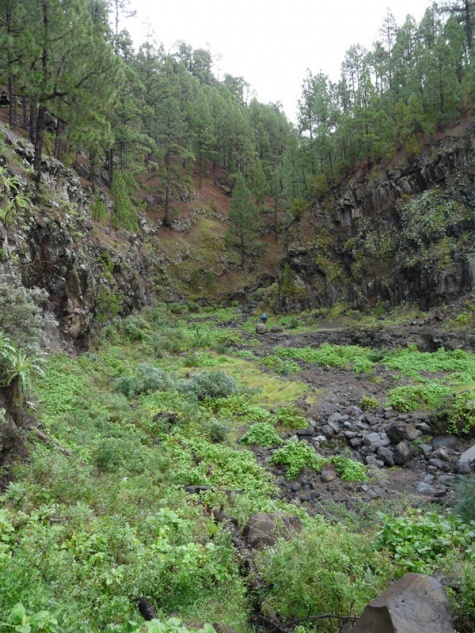 Noctua noacki is endemic to the western Canary Islands (La Palma, Tenerife, Gran Canaria). 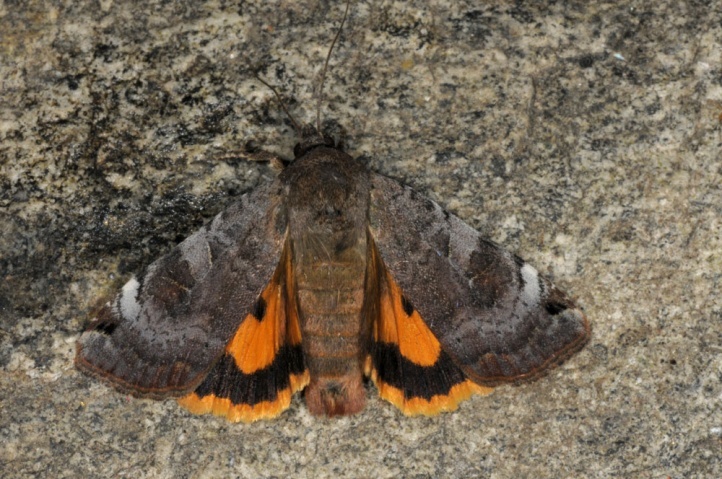 It is particularly common in La Palma.